... the complete lack of multi-monitor support in the Modern UI! Simply put, there can only be one full-screen Modern UI app displayed at a time. So if I open, say, Mail on one screen and attempt to open Maps on another screen, the screen showing Mail will go back to the desktop. To make matters worse, the Start Screen counts as a Modern UI app in this regard. If I have Mail open on one screen and try to open the Start Screen on another screen to launch an application, the screen showing Mail goes back to the desktop and I have to alt+tab back to it. Talk about a disruption in my workflow! Did I mention my main desktop is triple-head? It comes in handy for coding. All of the Windows 8 reviews I read talk about the pros and cons of the new Modern UI, but I rarely see any reference to the complete lack of multi-monitor support in it. I'm not sure if this is just a feature oversight, or a more fundamental limitation in the model used for WinRT apps. Is there a fundamental technical limitation in the operating system that prevents multiple Modern UI apps to be visible at the same time? If the Modern UI is the future, I sure hope they get this fixed ASAP! For now, it's easy enough to just avoid Modern UI apps altogether, but what happens in the future when I find an app I want to keep open on one of my screens? Perhaps more disturbing, this is becoming a trend in mainstream operating systems. While Windows 8 has this limitation for Modern UI apps, full-screen apps in Mac OS X are not really any better. If I full-screen an application in a multi-monitor configuration, I get that app on one monitor and a pretty background on all others. I would much rather have the ability to put multiple apps in full-screen mode side-by-side, or perhaps have the option to have a full-screen app next to a desktop workspace on another monitor. At least I can have multiple workspaces, though. Unfortunately, this does not seem to work for defaultproperties blocks. If you place the brace on the same line, the compiler will not give you any warnings or errors, but the entire defaultproperties block is just ignored! I was banging my head on the wall for at least an hour figuring this one out! I hope this can help prevent someone else from repeating my mistake. 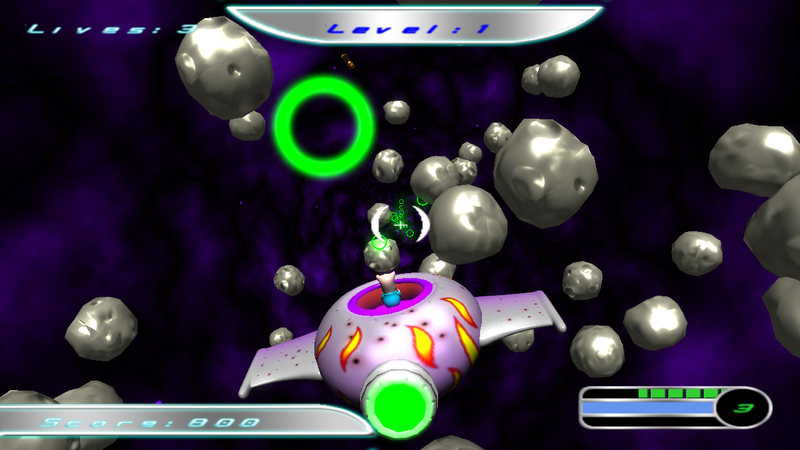 I've converted my old Space Hogs game project to XNA 4.0 (it was originally written in XNA 1.0). There were enough API changes to make it a pain, but I think I have everything working now. This game was developed by myself, Jason Kim, Joseph Ahn, Vjekoslav Kovacevic, and Daniel Guinn for a computer animation class during Winter Quarter 2007. You can find a zip file here. This requires XNA 4.0 and the February 2010 DX packages to be installed on your machine. For convenience, I've included both of the redistributable packages in the zip file. The source can be found on BitBucket. When it comes to GUI frameworks for C++, it's very hard to beat Qt. It's modular, easy to use, and available on practically any desktop system (and even a few mobile systems). The MOC'ing can get a bit annoying, but IDE and command-line support is very mature at this point. However, only OpenGL is supported currently for real-time 3D rendering. If you want to render to a Qt widget from a Direct3D 11 device, you end up having to do a lot of setup yourself. Unfortunately, there is not a lot of information out on the internet about setting up Direct3D to play nice with Qt. Most of the information is either out-dated, or only applies to Direct3D 9. Lately, I've been playing around with this and I want to share my method for combining Direct3D 11 and Qt. First, we tell Qt that we do not want it to do any draw buffering for us. Second, we require a native window handle for our widget. Otherwise, Qt may re-use the same native handle for multiple widgets and cause problems for our Direct3D rendering. You may have also noticed the createDevice() method call; this will be explained in a bit. Here, render() is just some arbitrary method that uses the Direct3D 11 device to render something to the primary swap chain. We start by releasing all of the buffers we had allocated (vertex buffers, index buffers, shaders, textures, etc.). We then issue a resize request to the swap chain, resize our rendering viewport, and then recreate all of our needed buffers. In this snippet, releaseBuffers() will call Release() on all buffers, and createBuffers() will create all of the needed resources (again). It would probably be easier to just allow the swap chain to grow and just adjust the viewport if the widget shrinks, but this method shows how to keep the swap chain the exact same size as the widget. 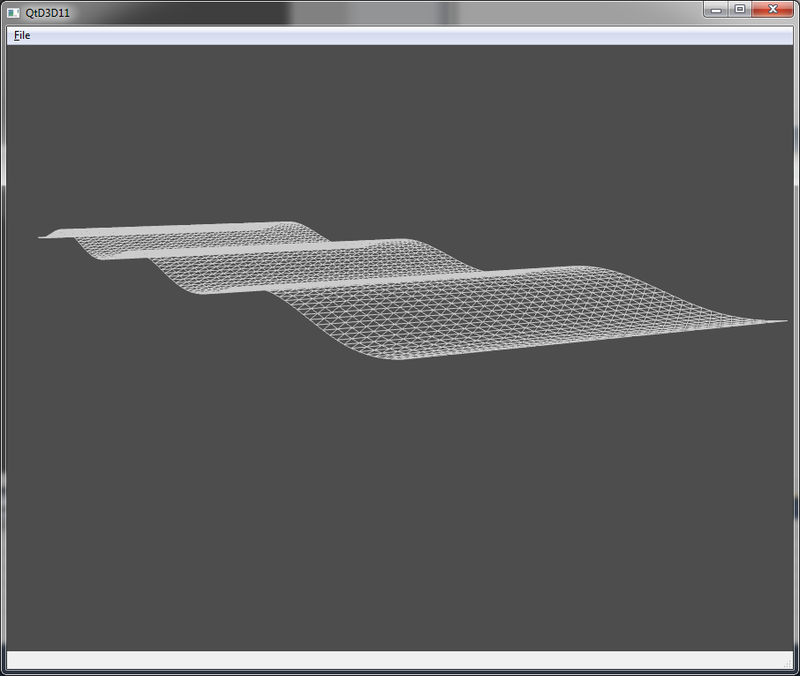 At this point, you should have a functional Direct3D 11 rendering context for a Qt widget. For brevity, I have omitted most of the Direct3D initialization code (this can be found in many places on the web). If you want to check out the complete sample program, it is located on my BitBucket account. To build it, you need a relatively recent Qt release, the DirectX SDK, and the Qt Visual Studio Add-in. Built using Pelican, a custom theme based on relapse, and Bootstrap.